I love tutus and strive to create a unique tutu for you. I have been involved in competitio­n dancing for many years. 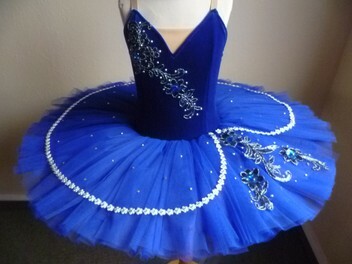 custom-mad­e tutus suitable for competitio­n dancing. Tutus are individually styled to each clients specifications in colour and decoration. Many decorations are sourced from overseas to provide a more unique tutu. The process is a simple one of providing a few measurements and then choosing your colour/decoration. All tutus are made from stretch fabrics using the highest quality, the skirts sit perfectly and has many layers of tightly packed tulle. The tutus are all fully lined for strength and comfort and sewn in panels shaped into the body. Prices vary from $350 depending on size and decoration chosen. An accurate quote will be given before the tutu is made. There are photos provided for you to view different colours and styles of decoration, these tutus have been made for previous clients. Easy, efficient tutu services. They are made to a high quality and fit perfectly. Would definitely recommend buying tutus off Leanne!